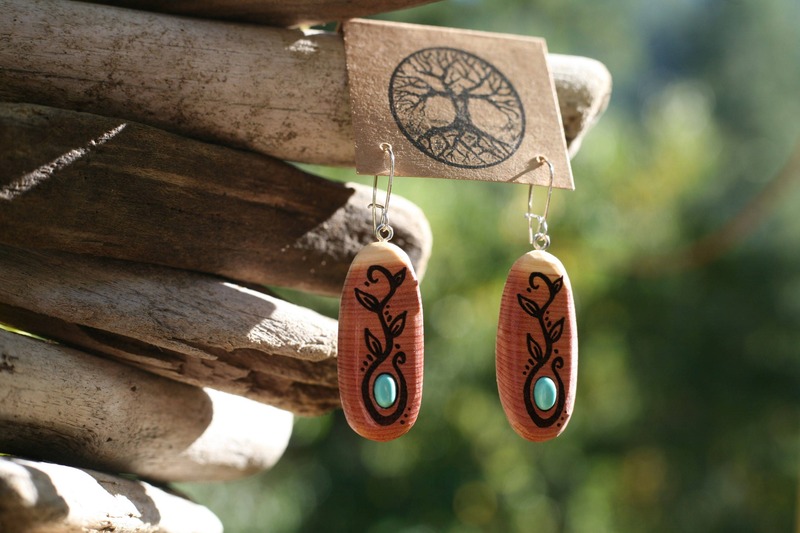 These wood & turquoise earrings were created by my husband Jeff in red cedar wood. I love cedar wood, especially red cedar with it's beautiful rosy hue, and I think turquoise pairs so well with it. 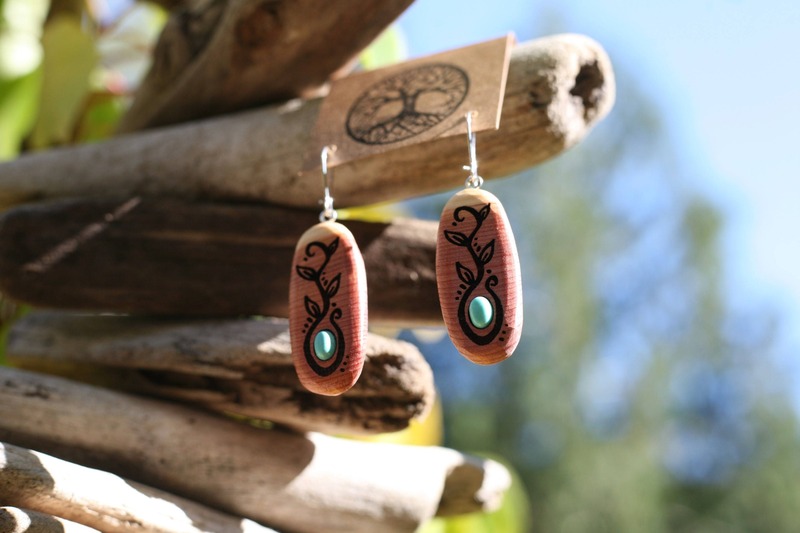 This is a design I (Taryn) drew, with a vision of the leafy vine wrapping around a turquoise stone. 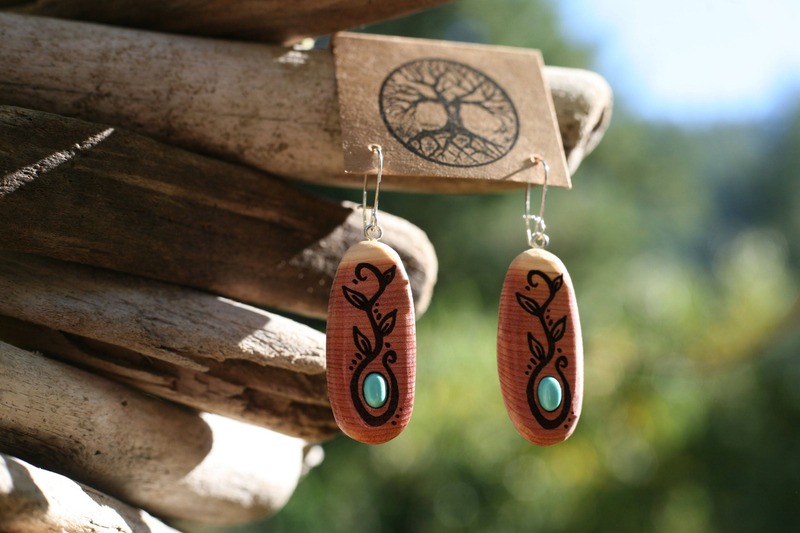 It was such a delight for me to watch Jeff bring my design to life on wood to create these earrings. He sanded them smooth, even around the edges. These earrings are nice and lightweight and come on silver plated ear wires. 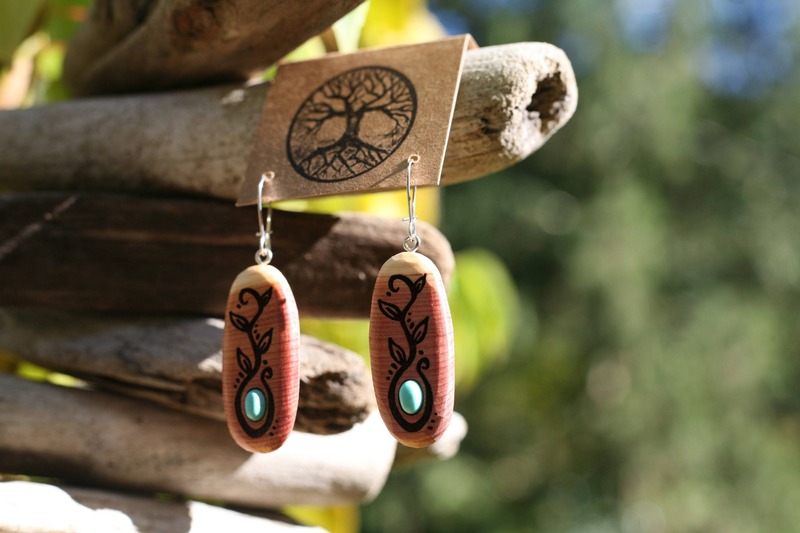 (The other nice thing about red cedar, besides being so beautiful, is that it makes for some lightweight earrings!) 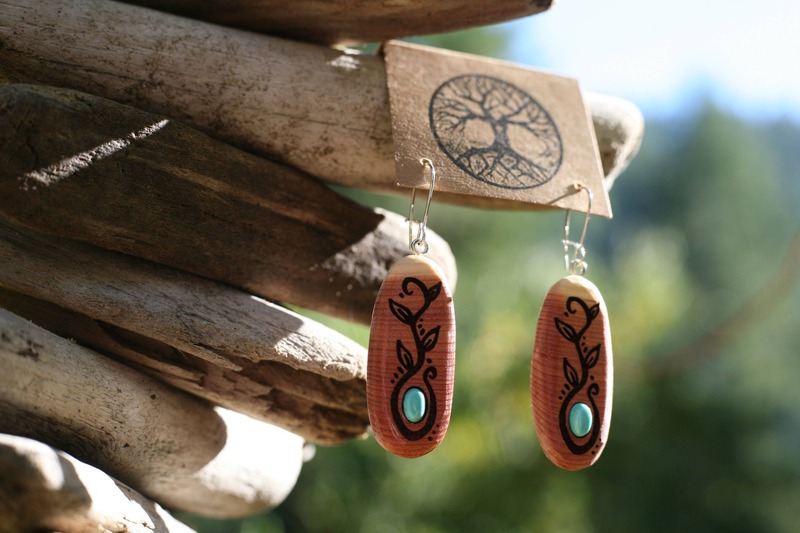 For an aromatherapy treat, put a drop of your favorite essential oil on the backside of these earrings (cedar is an absorbent wood and perfect for this) to enjoy the scent while you wear them. These earrings are so unique and we hope you'll enjoy them! 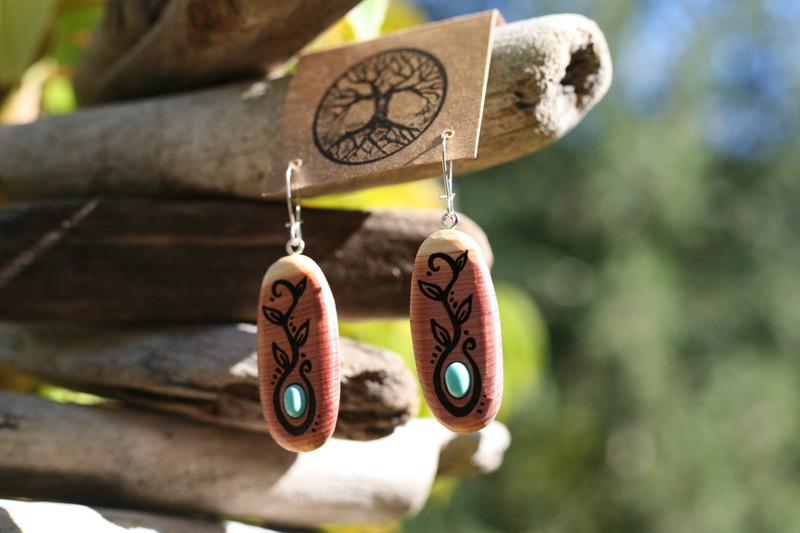 Made for the nature lover, you can bring a bit of nature with you wherever you go whenever you wear these wooden earrings. Measurements: A smidgen under 3/4 inch wide. A little under 1.75 inches long.